From left, Jaime Wiley, court school liaison; Supervisor Kathy Rountree; Val David, virtual lab teacher; Judge James Shriver; Julie Bullock, probation officer, and court school liaisons Cathy Meyer and Jeremy Huffman. 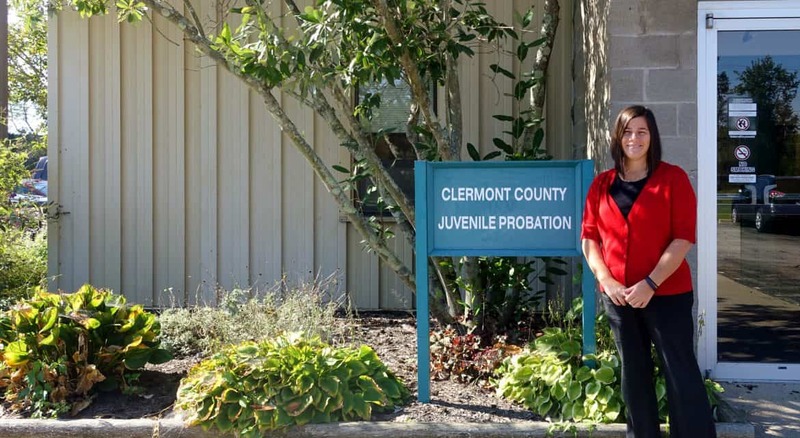 BATAVIA, Ohio – Clermont County Juvenile Court has been recognized by the Supreme Court of Ohio for the success of its Truancy Intervention Program, which has resulted in better attendance rates at schools and academic success for youth who were considered truants. In 2017, 233 students who were referred to Juvenile Court for truancy were instead diverted into the Truancy Intervention Program. Of those 231 completed the program, and did not have to face official charges and court proceedings. The Truancy Intervention Program, which began in 2002, does not look at truancy simply as an issue that must be fixed by having the student attend school. 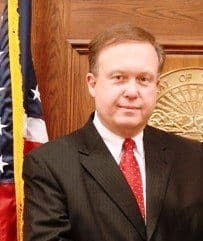 “We recognize that truancy is a symptom and that we need to address the root of the problem to effectively and appropriately achieve long-term positive outcomes,” said Juvenile Court Judge James A. Shriver. The reasons for truancy vary, said Kathy Rountree, who supervises the court school liaisons, diversion and probation officers for Juvenile Court. For the child, it could be because a parent is ill, or going through a divorce, or has a substance abuse problem, or is suffering from mental health issues. 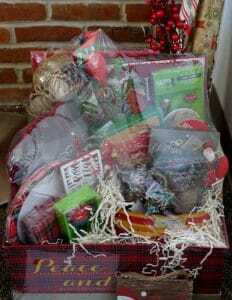 It could be that the family is struggling financially, and doesn’t have a stable home. It might also be because the child is bullied, or suffers from Attention Deficit Disorder, or even has head lice. Whatever the reason, truancy officers work to address it. That staff now includes court school liaisons with every district in Clermont County. They work with school personnel, mental health agencies, and Children’s Protective Services to bring a holistic approach to treating truancy issues, Rountree said. In some cases, court school liaisons help families who are homeless to find homes and assistance for rental deposits, she said. Juvenile Court also operates a virtual lab where students can work to obtain the credits they may have missed. This year teacher Val Davis was hired to help students with their coursework. The program also rewards students – and their parents – as certain goals are reached. These rewards or incentives include gift cards, yearly recognition picnics, and outings. “The success of this program is based on the individualized approach to working with youth and their families,” Rountree said. “We address the unique needs of each child and family. The support we get from school staff and outside agencies is also key to the success of this program. 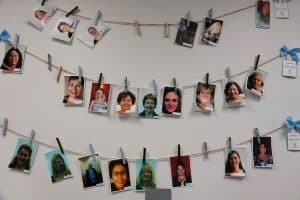 “The most important component is the dedicated and passionate group of individuals, starting with Judge Shriver, who work tirelessly to assist our families in recognizing their ability to change and achieve personal growth and academic success,” she added. In July 2017, House Bill HB410 was passed and it redefined habitual truancy from number of days missed to number of hours missed. It includes students who miss 30 consecutive hours of school without a legitimate excuse, or those who miss 42 hours in one month with or without an excuse, or 72 hours in one year with or without an excuse. BATAVIA, Ohio (Oct. 19, 2017) – Cyndy Wright is a voice for children who have no voice. 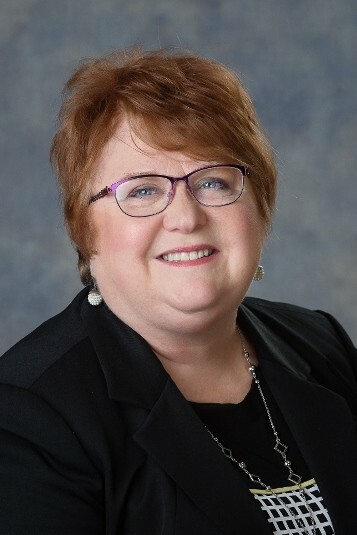 Wright, an Assistant Vice President at Park National Bank, is a volunteer guardian ad litem (GAL) for children who enter the Juvenile Court system in Clermont County through no fault of their own. These are children who were removed from their parents’ care because of abuse or neglect. It’s a heartbreaking situation – and Wright, as that child’s guardian, represents that child’s best interests before Judge James Shriver or one of the magistrates in Juvenile Court. Wright is one of 35 guardians ad litem for CASA for Clermont Kids but 35 is hardly enough to handle the almost 120 children under CASA’s care. CASAs – or Court Appointed Special Advocates – can be found throughout the United States and in most counties in Ohio. 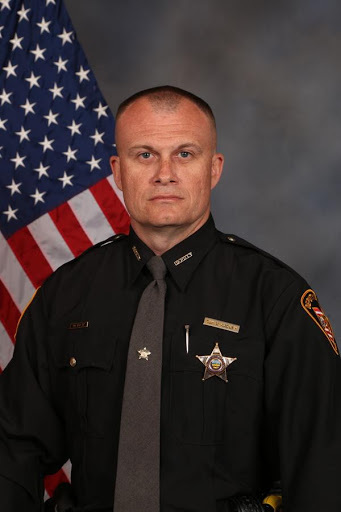 The ones in Ohio are governed by Ohio Supreme Court rules, said Nathan Bell, Executive Director for the Clermont CASA, which ensures that certain standards are met by the GALs. Bell is passionate, too. His undergrad degree focused on sociology and psychology, and he always knew he wanted to work with children. Instead of becoming a therapist, he got a law degree from Duke University, and focused his efforts on courts and children. Before coming to Clermont County in 2014 to take over the reins at CASA, he was a full-time GAL for the Hamilton County Public Defender’s Office for 12 years. To become a guardian ad litem, volunteers go through an initial screening and interview, before undergoing 30 hours of training. They go to court during this time to get a feel for the kinds of cases they will be assigned. Once they are certified, they are always accompanied to court by one of the volunteer coordinators who work for CASA. Photos of some of the guardians ad litem at CASA. To determine what is best for the child, the guardian will meet with and interview the family, will meet with relatives, and with teachers if the child is in school. “We follow the parents’ progress … are they working hard to get better? Are they visiting their child? It’s complex to say the least,” says Wright. 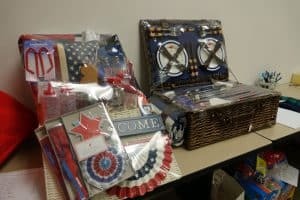 Volunteers must have a clean criminal record, be able to drive, and have some flexibility so that they can appear at court during the hearings, held every three months. Visiting with children and others can be done at night or on the weekend. Wright says she is grateful that Park National, which is a big supporter of community causes in Clermont County, allows her the flexibility to be a GAL. Back row: Charles and Michele Wehby, Judge Shriver. Front row: Alexis Wehby and Richard Sahlin. 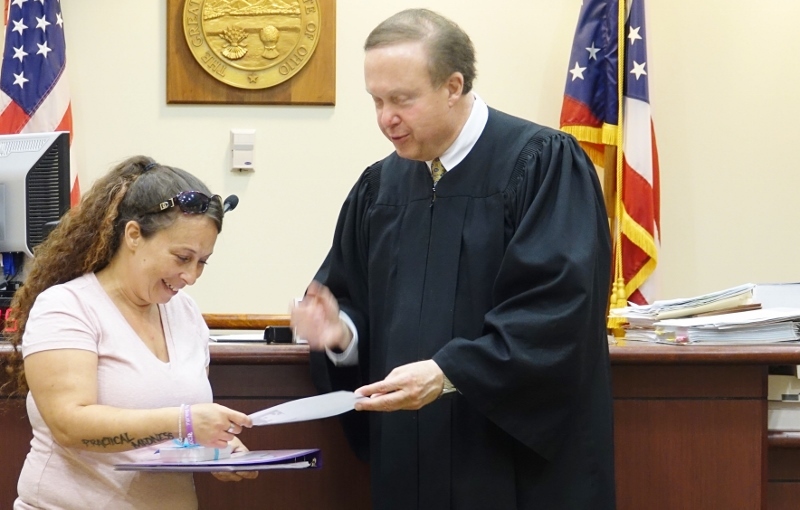 BATAVIA, Ohio (April 4, 2017) – March 23, 2017, was a momentous day for Charles and Michele Wehby. 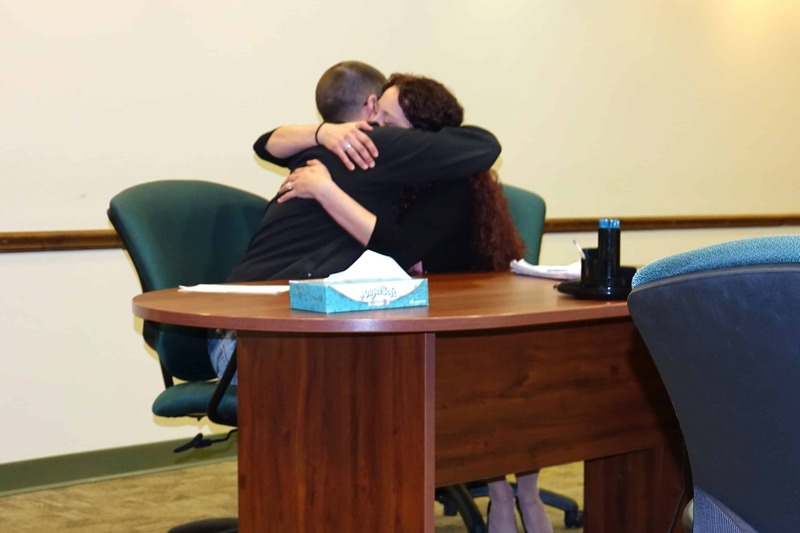 That day, the Amelia couple officially graduated from Clermont County’s Family Dependency Treatment Court. Juvenile Court Judge James Shriver, who runs the Treatment Court, praised the couple’s progress over the year-and-a-half they spent in his court, working their sobriety and eventually reclaiming custody of their three children. It has not been an easy journey. An emotional moment for Charles and Michele Wehby. 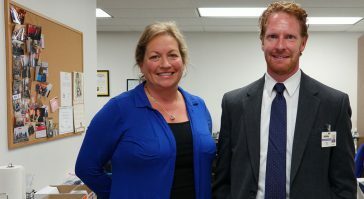 In July 2015, desperate to regain their children, Charles and Michele entered Judge Shriver’s Treatment Court, a special docket court that is open to parents who have lost custody of their children and are willing to go through a rigorous program to reunite their families. The Wehbys are the second couple that have successfully completed the program. One thing made a difference this time, they said: Accountability. Now, they were accountable to Judge Shriver and his program administrator, Angela Livesay, as they worked through the program. The Family Dependency Treatment Court requires weekly appearances before Judge Shriver, as well as frequent drug screens. Parents must submit weekly letters detailing their activities. Charles and Michele attend frequent AA meetings and have also gone through marital and family counseling. Both are receiving Medication Assisted Treatment to help relieve cravings for opiates. “It’s the best thing that ever happened to us,” Michele added. Today, both Charles and Michele work. Their children attend West Clermont schools. For more information on the Family Dependency Treatment Court, contact Angela Livesay at 513.732.7685 or email her alivesay@clermontcountyohio.gov. 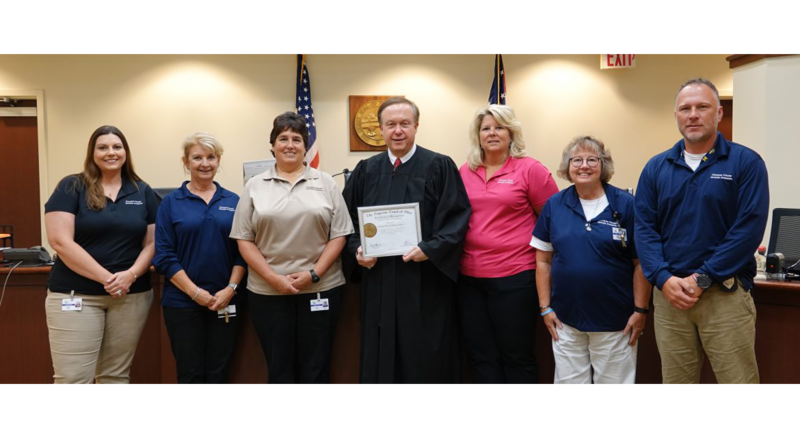 BATAVIA, Ohio (Jan. 9, 2017) — The Family Dependency Treatment Court of the Clermont County Juvenile Court has earned final certification from the Ohio Supreme Court’s Commission on Specialized Dockets. 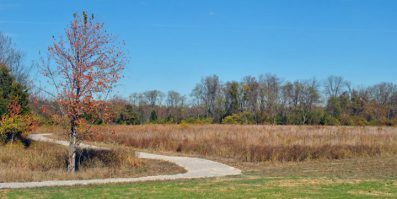 To receive the certification, the local court had to submit an application, host a site visit, and provide specific program materials in response to certification standards that went into effect in January 2014. 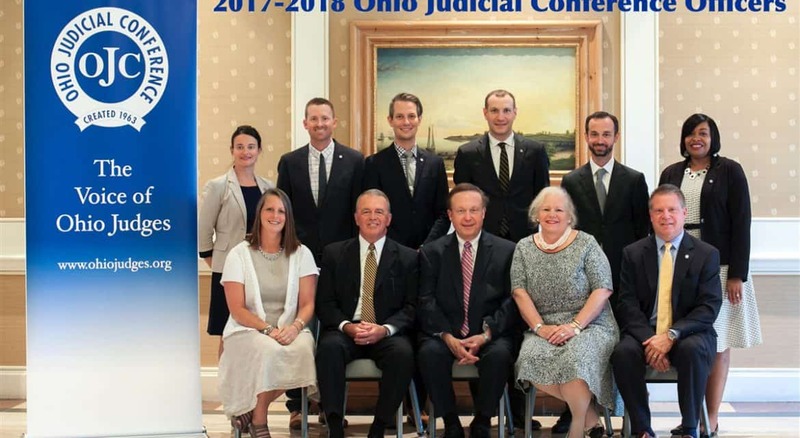 Ohio Supreme Court Chief Justice Maureen O’Connor congratulated the Clermont County Juvenile Family Dependency Treatment Court and Judge James A. Shriver for receiving final certification. 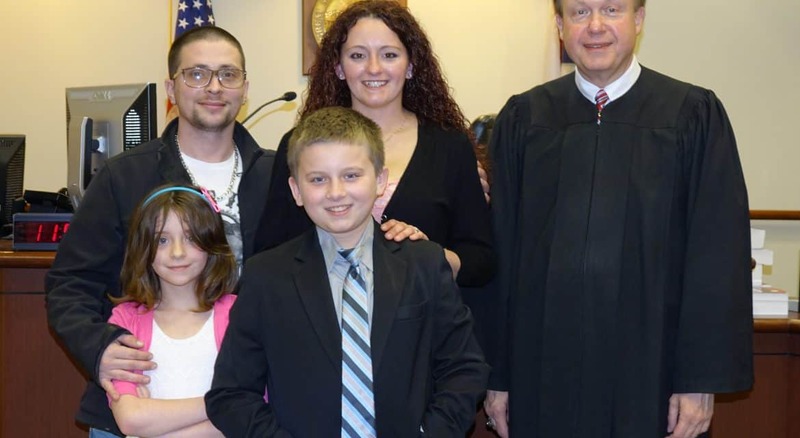 In this particular instance, the Family Dependency Treatment Court is provided as a voluntary option for parents whose children have been removed from their custody because of issues involving substance abuse. The Family Dependency Treatment Court requires frequent court hearing attendance, office appointments, random drug screens, participation in substance abuse treatment and many other elements to support and encourage sobriety. 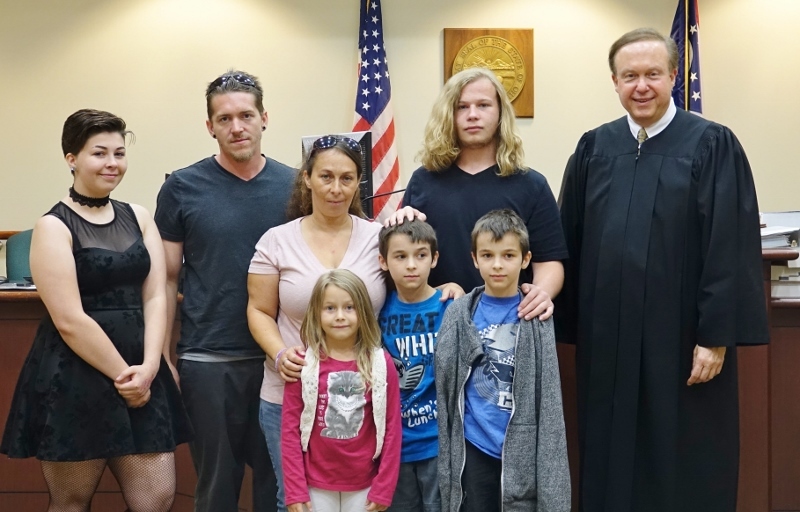 “The Family Dependency Treatment Court takes a holistic approach to deal with all problems in a family to bring families together again permanently. We have been successful in reunifying children to parents in very difficult circumstances. I am honored that the Supreme Court of Ohio recognizes the importance and great value in the program,” said Judge James A. Shriver. BATAVIA, Ohio (Dec. 27, 2016) – Two initiatives of the Clermont County Juvenile Court were recognized by the Ohio Department of Youth Services during its annual awards ceremony on Dec. 1. Child Focus Inc., which provides comprehensive services to families and children in Clermont County, received the 2016 J. Thomas Mullen Achievement Award for its Multidimensional Family Therapy (MDFT) program. In the particular case recognized, Juvenile Court Judge James Shriver had referred twin brothers and their mother to MDFT. 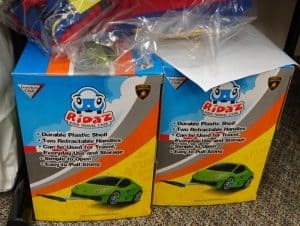 The boys had been involved in Juvenile Court and probation for several years and could have been removed from their home for continuous infractions, including substance abuse, leaving home without permission, and truancy. Once in MDFT, the boys and their mother participated in counseling sessions together. Their mother set up and enforced household rules, which the boys followed. Their school attendance and grades improved. 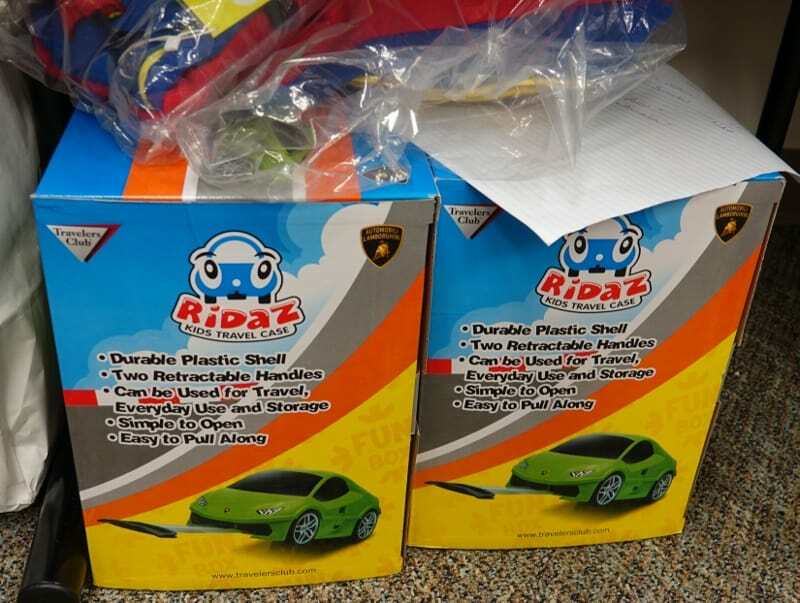 The boys are on track to be released from probation in the near future, Judge Shriver said. The court’s Truancy Intervention Program was awarded the 2016 Community Recognition Award. In 2015, the court added three part-time school liaison positions to help with truancy intervention. It also added a Virtual Lab of five computers to help students complete work for high school graduation. In the case meriting the award, a high school student was very behind in school credits. He had numerous family issues and sometimes missed school to care for younger siblings. A staffer from the Truancy Intervention Program helped him set up a plan to make up the credits. By working online through his home school and the Virtual Lab at Juvenile Court, he was able to graduate last summer.